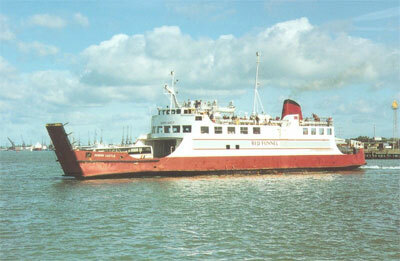 MV Norris Castle was another purpose built vessel for Red Funnel by Thornycroft at Woolston for the Cowes/Southampton route. Like the other Castle vessels she operated between East Cowes and Southampton and she would moor alongside the pontoon at Cowes to collect passengers and enable car to embark/disembark through the side of the car deck. 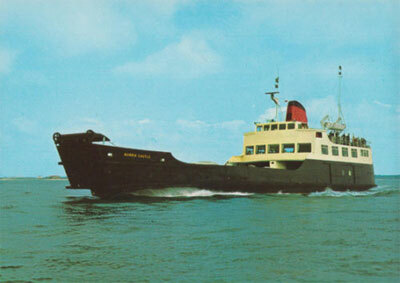 Later she was heavily converted into a roll-on roll-off ferry with a mezzanine deck; following the conversion she no longer called at Cowes to pick up either passengers or cars. She was sold in 1944 to operate in Naples.